This street is the last part of our virtual trip along the line closed in October 2000. Tracks in this street were uprooted in early November of the same year, and one can find absolutely no traces of the once existed line today. 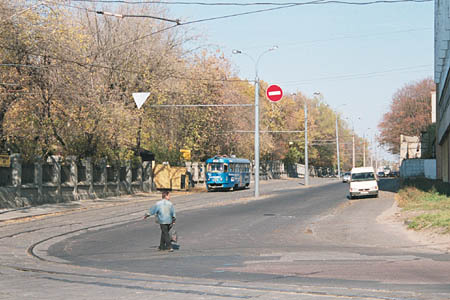 A view of Sergey Makeyev street from its crossroad with Zvenigorodskoye Shosse. A vast and famous Vagankovskoye Cemetery is located beyond the fence to the left. 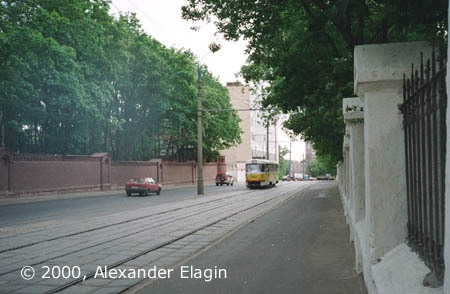 Sergey Makeyev Street separates two cemeteries: the Vagankovskoye Cemetery (to the right) and the Armenian Cemetery (beyond the red-brick wall to the left). Zvenigorodskoye Shosse is in the distance. Here Sergey Makeyev Street meets 1905 Goda Street again. 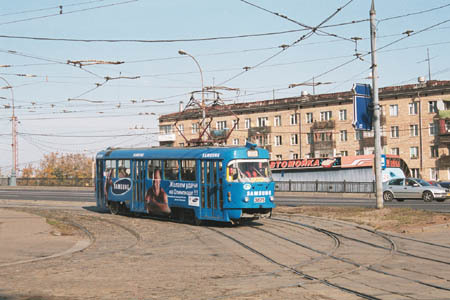 Krasnopresnenskoye Tram Depot is located across the street, beyond a white fence in the background. Ulitsa 1905 Goda stop. 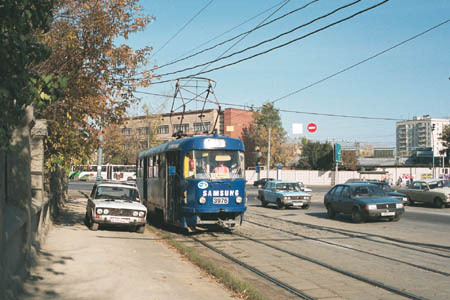 This is the last tramstop on the line closed in October 2000. 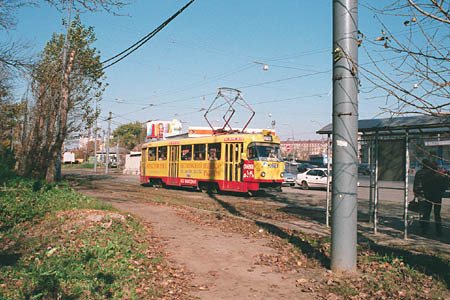 A new terminus was laid in the same month a hundred metres to the left from this location, but its life was not too long - it was also abandoned in 2002 together with the next stretch of the line up to Botkinskiy Proyezd.